raise the funds to Get BA Everywhere. BA Everywhere—Imagine the Difference It Could Make! "Why am I—why is my body of work, and method and approach—important? 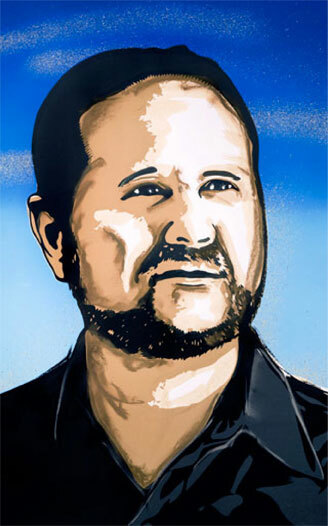 Because this is bringing forward an advanced understanding, a heightened understanding, of what revolution and communism are all about and how to move toward the objective of revolution and communism, as well as a method for engaging and struggling through the contradictions that are inevitably going to be encountered in that process.…"
"My dear brother Bob Avakian... is the Chairman of the Revolutionary Communist Party.... He is one of the few coming out of the '60s who never sold out, he never caved in, he never gave up, held on to his forging of a rigorous, scientific analysis of the objective realities that are driven by a revolutionary love—because he has such a deep love for poor people, oppressed people, all around the world. Whether you agree or disagree with our brother, one thing you cannot deny: that he is the real thing. No doubt about it." 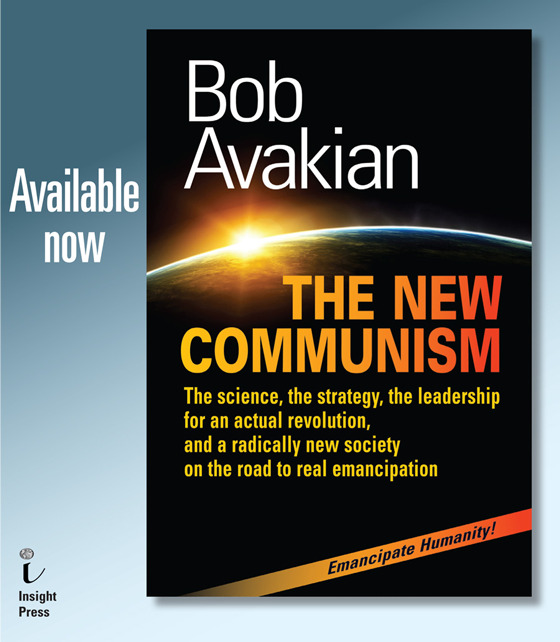 Very soon, a pathbreaking new book from Bob Avakian will be published: THE NEW COMMUNISM: The science, the strategy, the leadership for an actual revolution, and a radically new society on the road to real emancipation. This work is being released at a time of unspeakable and unnecessary suffering from one corner of the globe to the other—millions driven from their homes by unjust wars and environmental destruction, rampant violence and hatred against women, relentless murder and brutality against Black and Brown people by police in the U.S., vicious attacks on immigrants, and much more. It comes as well at a time of tremendous upheaval, with powerful resistance breaking out and people taking bold stands, and with many more being shaken into political life—and deeply disgusted—by not only by the fascism of Trump, but also the war crimes and lies of Clinton and the Democrats. 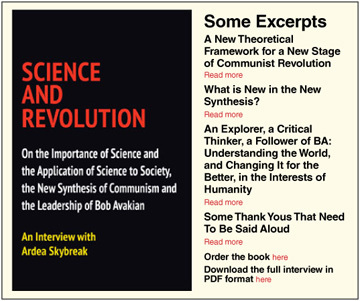 The publication of THE NEW COMMUNISM: The science, the strategy, the leadership for an actual revolution, and a radically new society on the road to real emancipation is a major opening to really promote BA and his analysis of the problem and solution and the whole scientific method he’s taken to another level—and that requires organization! To begin with, it’s time to re-forge the BA Everywhere Committees and take them to a much higher level. 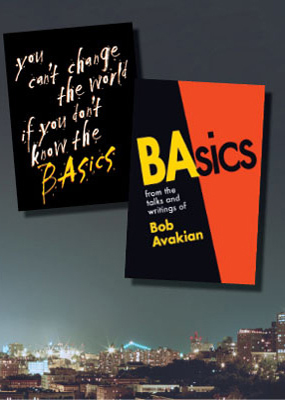 "Wow, I've never thought of that..."
Last week, I joined a few volunteers with The Bob Avakian Institute to attend two academic conferences of sociologists that were happening back-to-back. There were thousands of people there digging into a whole range of important questions: the environmental disaster, the study of social movements, mass incarceration and the role of the police, the history of capitalism and slavery, the rise of Islamic fundamentalism, the different forms the oppression of women is taking internationally, the conditions of immigrants and refugees, and much more. Some of these sociologists were aiming to study questions from a more theoretical vantage point and others were working to have their studies lead to more concrete policy changes. There were grad students working on their PhDs to prominent academics from all across the country, and some internationally. In line with the mission of The BA Institute, we went with the aim of promoting the serious engagement with the new synthesis of communism which represents a revolution in human thought. These are turbulent times. Old orders are straining, societies are polarizing, and people are in motion... Will the fabric of society and this system be stitched back together with continuing, and possibly even more horrendous consequences for humanity and the planet? 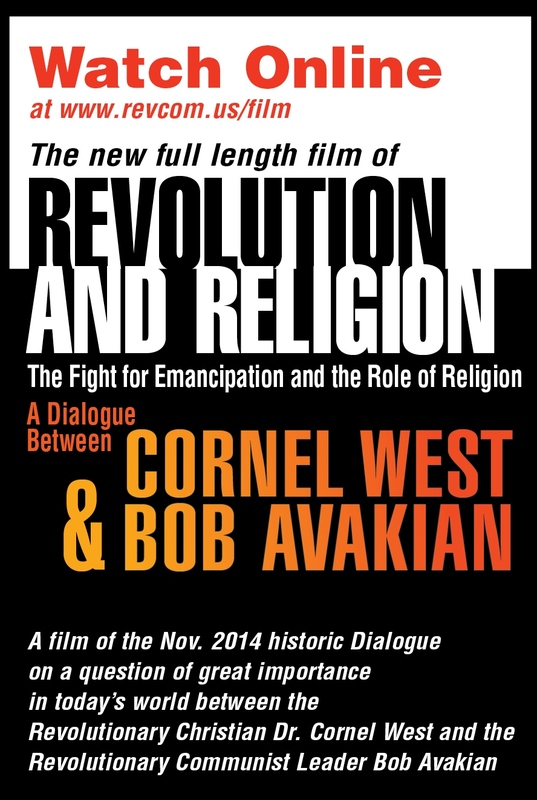 Or is there a radically different alternative that charts a viable path towards the emancipation of all of humanity? That is the question beneath the turmoil, upheaval and questioning. In fact, there IS a way out of this madness and horror, represented by BA and his work and leadership. But this work and leadership is not known in society widely, either among the vast majority of the world’s oppressed who need this most, or to those who question this world and want a radically better one. The BA Everywhere fundraising campaign is about changing this. "If you care about the horrific state of the world, if you yearn for humanity to be free, you are in the right place." See "Prisoners Respond to Bob Avakian’s Quote on Fundamentalist Islamic Jihad: Islamic Fundamentalist Jihadism: NOT A Radical Alternative…Just Another Form of Vicious Oppression"
For individual orders and bulk orders, or to buy 2 at a discount with second one sent to a prisoner—Contact Insight Press, info@insight-press.com or (773) 329-1669. Payment accepted via credit card or money order. Available soon for pre-order at Baker & Taylor, Ingram, Amazon, Barnes & Noble, etc. 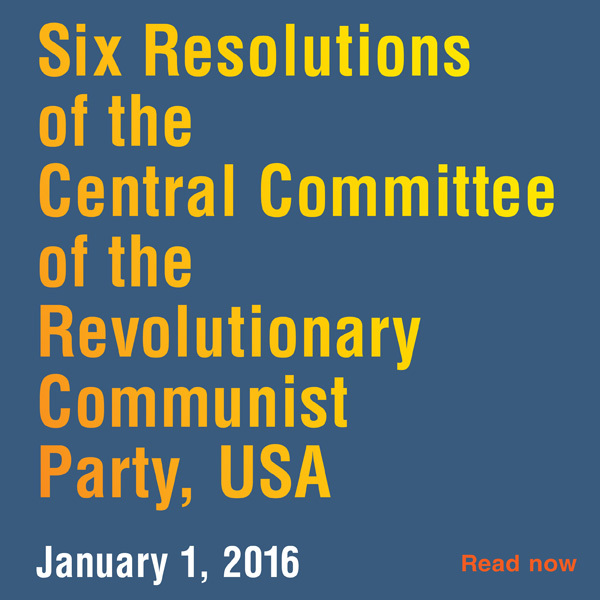 FOR ANYONE WHO CARES ABOUT THE STATE OF THE WORLD and the condition of humanity and agonizes over whether fundamental change is really possible, this landmark work provides a sweeping and comprehensive orientation, foundation, and guide to making the most radical of revolutions: a communist revolution aimed at emancipating humanity – getting beyond all forms of oppression and exploitation on a world scale. 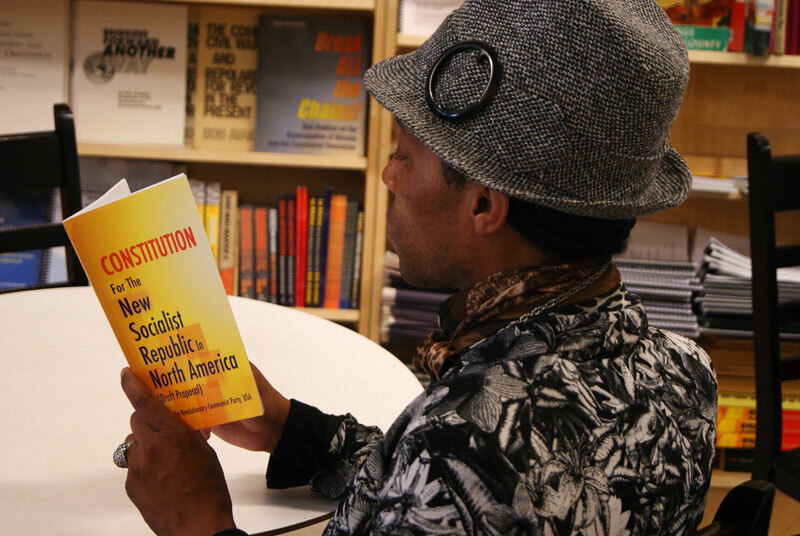 During a recent event at Revolution Books in Harlem a patron presented reservations about a revolution, citing Malcolm X and that it would be bloody. 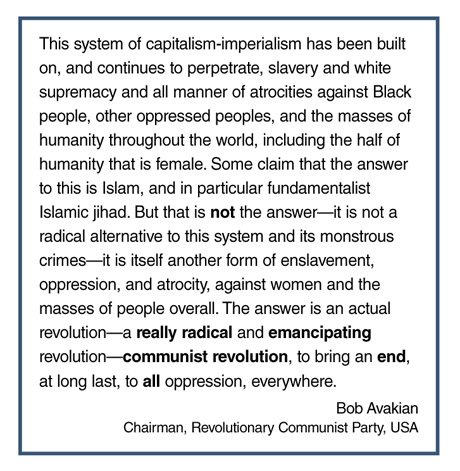 This is an issue that Bob Avakian, as always, meets head on without equivocation in his latest book The New Communism. 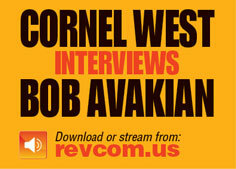 “You don’t make a revolution without tremendous sacrifice,” Avakian writes. 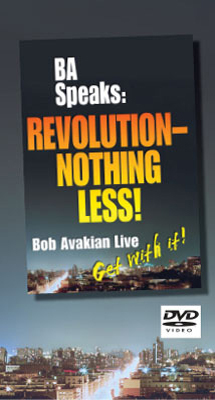 This is a reality, he continued, “…you have to go through to get to a better world.” In this book, Avakian honestly and perceptively handles a number of questions about the difficulties of bringing about a total change in an oppressive system. It is a valuable addition to his corpus of work; a splendid exegesis of revolutionary potential. Get THE NEW COMMUNISM into the hands of prisoners! Here's how. The publisher has a special offer: Buy two paperback copies of THE NEW COMMUNISM; the second copy will be discounted 50% and will be sent to a prisoner. Total price for this offer is $25.50, plus $5.00 for shipping. I want to get into BA...Where do I start? "So, I want to begin by talking about why is BA Everywhere the 'leading edge' of this overall ensemble..."